As Director of Marketing Innovation and Digital cinema in the Eutelsat’s Commercial Department, Michel Chabrol is responsible for the promotion, marketing and development of new technologies like 3D and Ultra HD. 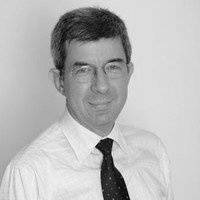 He is Board Director of DSAT Cinema, a joint venture company of Eutelsat and dcinex, that offers to cinemas electronic delivery of contents (“DCP”: Digital Cinema Package), and live retransmissions of key events. He is also in charge of the 3D & Ultra HD Group of the French HD Forum.